PLAY FOR £500 EVERY DAY! 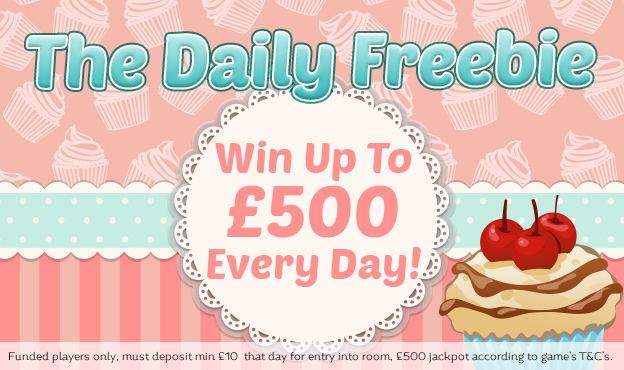 Here at Cupcake Bingo you can play for up to £500 every day @ 11pm in our Daily Freebie Jackpot room. You’ll get automatic access to the room on any day that you deposit just £10! Simply make sure you’ve deposited before 11pm to unlock the room and pick up your free tickets. See you there! Game plays everyday at 11pm. Entry to the room is reserved for players who have made a minimum deposit of at least £10 that day.